These ducks weren't too interested in having their picture taken. I just knew they weren't any kind of duck I'd ever seen before. I wonder how they ended up there. 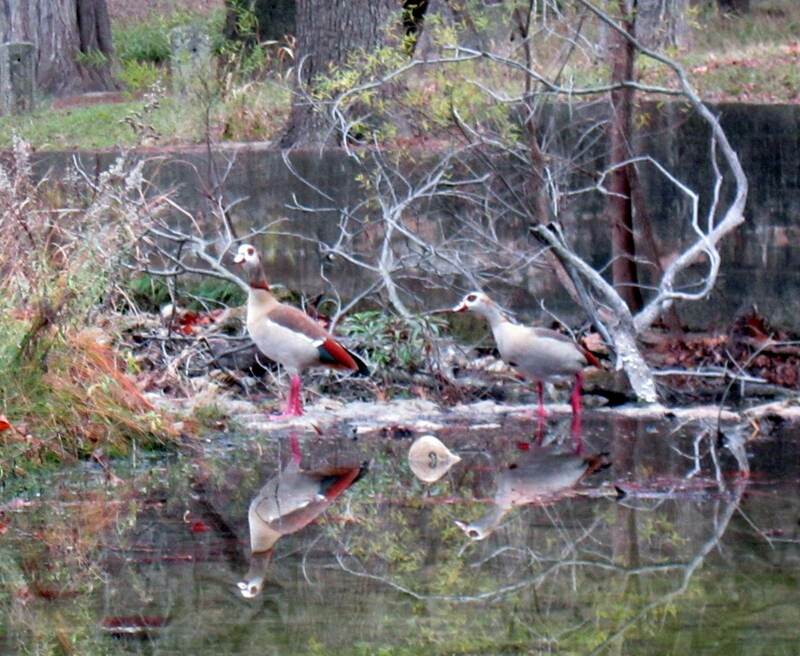 "Egyptian geese have been imported from their native home as decorative birds. Those that have escaped private ponds or aviaries have established hardy feral populations that seem to be growing in numbers"